We’re always being told that international football is losing its popularity with fans, clubs and players, and every few months FIFA and UEFA announce a new plan to rejuvenate it. If international football really is on the edge of the precipice we’re told exists, then it would be nice to see those in charge treating it a bit more delicately or with more success. Michel Platini’s latest plan to allow the hosts of the European Championship to enter qualification without any impact on the qualification table is as clumsy and thoughtless as it gets. 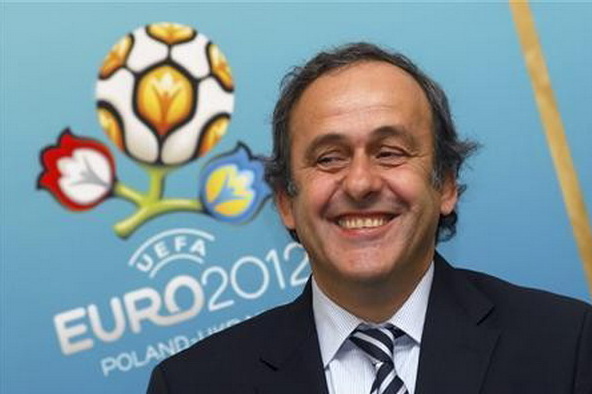 The first nation to enjoy this rule change will be Platini’s home nation, France. They’ll hope to get as strong a group as possible in order to test a selection of different squads to be completely prepared for Euro 2016. They could potentially see (and would presumably hope for) a strong group of Spain, Belgium, Serbia, Iceland and the Faroe Islands. It would provide Didier Deschamps’ team with a combination of difficult away trips and world-class opposition. But would it? The thinking behind the change of rules is that instead of the host nation trying to arrange friendlies with inadequate opposition usually based outside Europe, they can play their talented neighbours and develop their team. However, why would any of their opposition bother to field a first choice team against France when there are no points at stake and will only lead to injuries and fatigue which stretches the already fraught relationship with players’ clubs? Would France be so keen to travel to places such as Serbia and the Faroe Islands if they weren’t going to play the best national team on offer? Would they want to face tiny nations such as Liechtenstein, Luxembourg and Andorra twice in games that mean even less than they usually do? Furthermore, there isn’t a reason to provide the host nation with another advantage over their competitors at the final tournament. Being able to play all of your matches in front of stadiums packed predominantly with your own fans, in stadiums many players are familiar with and in conditions you’re accustomed to is such an advantage that nearly 29% of European Championship and World Cup hosts win the competition, and 37.5% reach the final (France themselves have won 2/3 of the competitions they’ve hosted). Not being able to qualify seems a perfectly reasonable forfeit for a host to accept, and levels the playing field at a final. Whichever nation gets France in their qualifying group is sure to have to deal with the backlash from their home supporters who may become even more disillusioned with the international game and the fault will reside with one of football’s governing bodies. UEFA have been meddlesome with the Euros already, expanding the number of nations who can qualify (so that all of UEFA’s members almost a 50% of appearing) and announcing a continent wide edition in 2020, despite the lack of thought given to fans who may have to fork out thousands to see their national team. Their bigger brother, FIFA, have been happy to band around the World Cup to the biggest bidder and thus Qatar will be hosts in 2022 despite the disruption it causes to a number of domestic leagues and international sports, and the weather conditions which may threaten the welfare of those who attend (not the mention the workforce who are forced to build it). While UEFA and FIFA believe that their tinkering is improving international football, their ham fisted changes have exasperated the already existing issues suffered by national teams and are done without a thought for those in the stands. A History graduate from the University of Westminster, where I am the sports editor for the QH newspaper. I've been writing for Back Page Football for the past year and am particularly interested in the more obscure and less-frequented areas of world football.